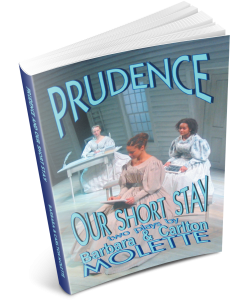 In 1832 in the village of Canterbury, Connecticut, Prudence Crandall’s students are White daughters of the landed gentry until Sarah Harris, an African American, enrolls. Amid persuasion, threats, and students withdrawing, Crandall closes her school and reopens as an academy for “young ladies and little misses of color.” Both Prudence and Our Short Stay chronicle the firestorm of bigotry that Crandall’s courageous action provoked. Prudence is a full-length play and Our Short Stay is a one-act that can be performed in a classroom setting.